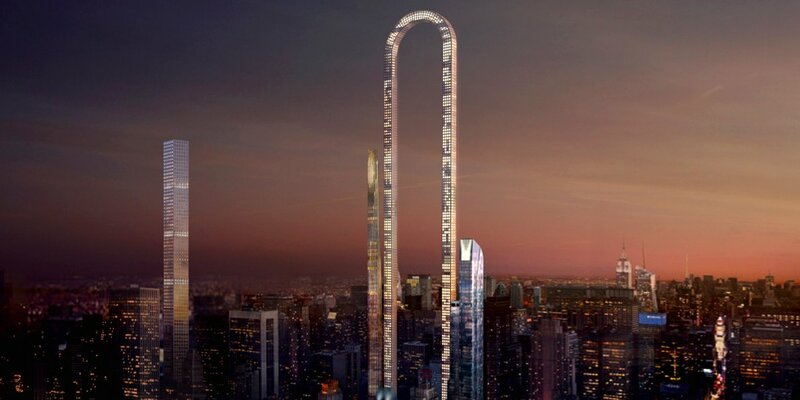 One of the world renowned architecture firm hopes to build the longest building in the world by bending a skyscraper in half. If we manage to bend our structure instead of bending the zoning rules of New York, we would be able to create one of the most prestigious buildings in Manhattan. 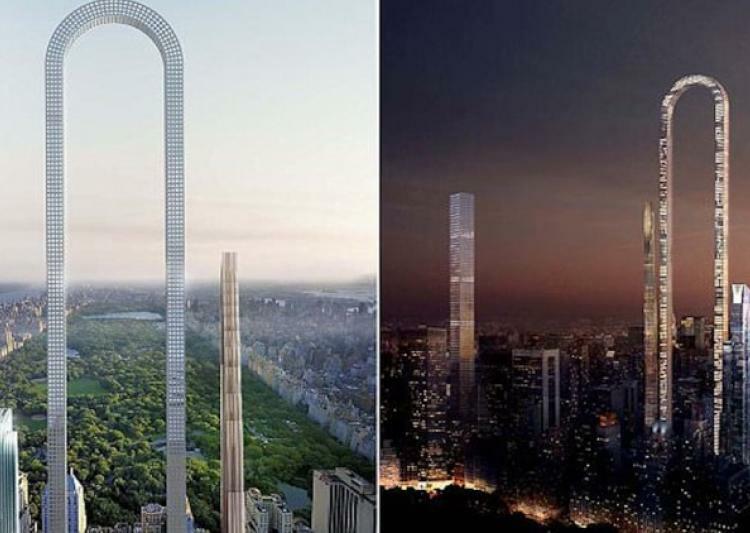 The Big Bend is a curved design building, 4,000 foot long skyscraper project on Manhattan’s Billionaire’s Row. It’s the brainchild of Oiio Studio. Its nothing new we had seen variety of artistic architecture across United States of America and its of no secret that there is a space issue in Manhattan and that is the primary reason billionaire are hiring best architects to build up because there is no room to build out. “Billionaire’s Row” in Manhattan is already home to a host of up and coming skyscrapers including One57, the first to break the 1,000 feet mark, and the Central Park Tower, which is shooting to hit a high of 1,550 feet. 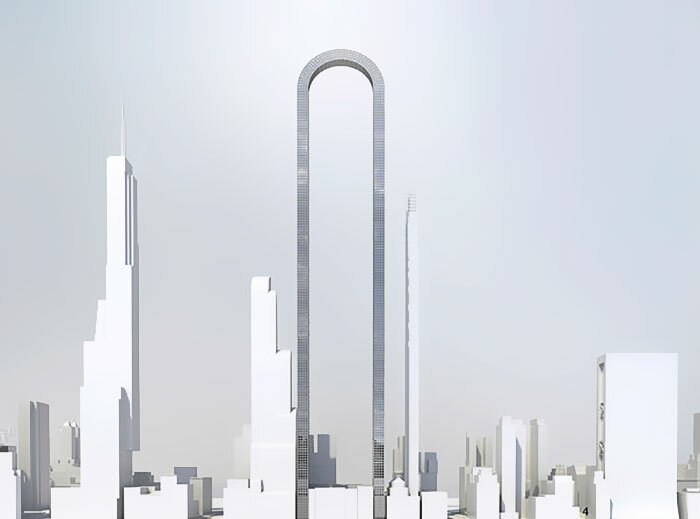 The Big Bend, if it were ever to be built, would demolish those numbers both in typical height but also with a prospective ‘length’ of some 4,000 feet. it will become on the greatest wonders of the world which would ever be built. The designer of the project, Ioannis Oiaonomou, was inspired to create the U-shaped master piece after learning that a company created an elevator that moves in curves not only moves vertically, but also horizontally in continous loop. So the architects were pretty much convinced considering all the parameters while designing this Big bend. The Big Bend is just an idea – for now because architects has to get lots of permissions before going ahead in building up this in reality. Oiaonomou has sent the plans to a few companies and is currently seeking investments from lots of venture capitalist and billionaires.